Users now have the ability to add users to future waitlists. 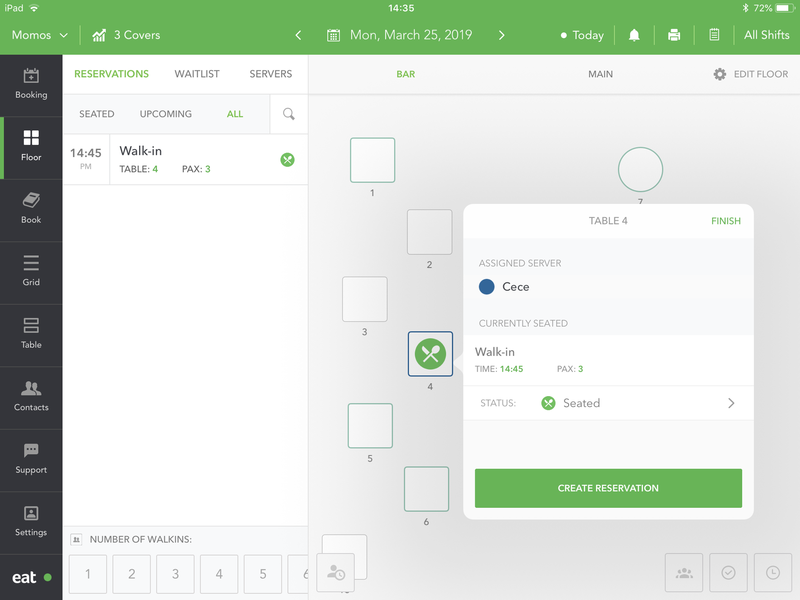 If a user clicks on the waitlist icon, the selected date and current time will be the default selection, but then they can select any day they want. In previous versions of the app, the only way to identify a server is by the colored outlines on the tables. Now if you click on a table, you can see the servers name in the reservation pop-up. Users can now choose to add the customers email address and phone number in custom print reports. Note that print report customization has been moved to settings under Preferences. 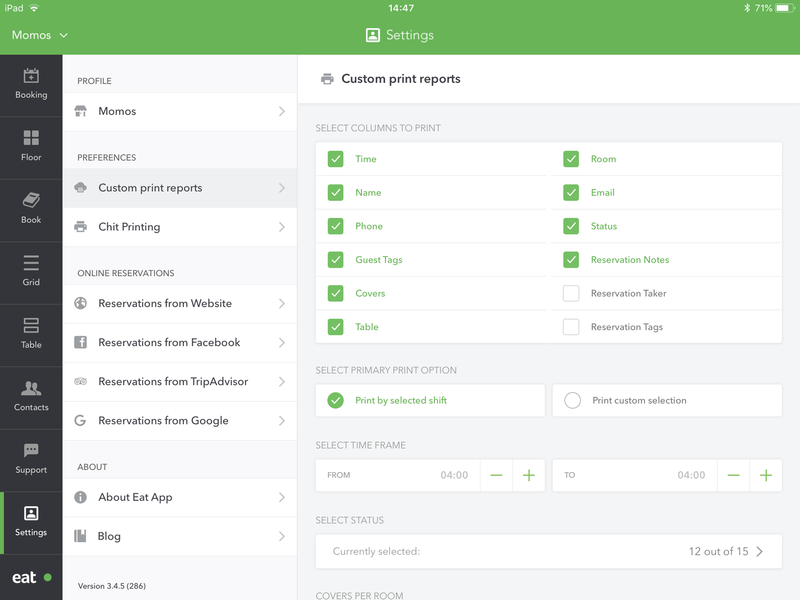 Users can drag reservations from the list or a table to different rooms. The same goes for waitlists and servers. Preselected tables are now regenerated when switching rooms. Conflicts now ignore cancelled, denied and no show reservations.